Symptoms of asthma may be triggered by various factors in the environment. Let Dr Teoh Oon Hoe, Head and Senior Consultant at the Respiratory Medicine Service, KK Women's and Children's Hospital (KKH) tell you more. 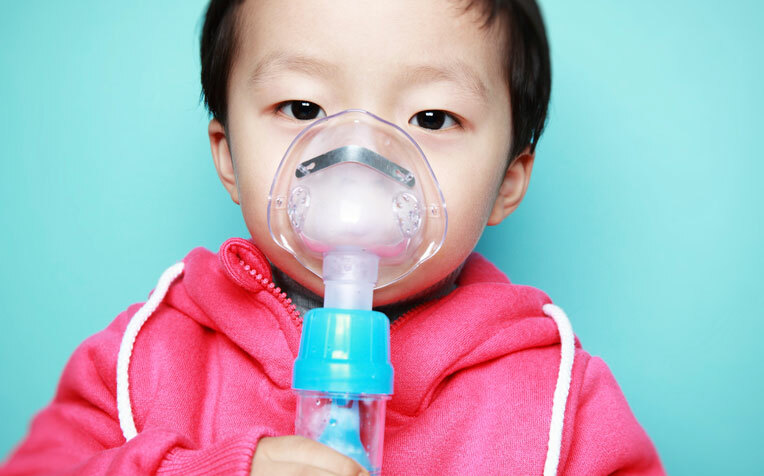 ​​Tips for parents of children with asthma. Asthma is a disease resulting from chronic inflammation of the airways. It is estimated to affect 20 per cent of children in Singapore. Common symptoms of asthma are recurrent wheezing, shortness of breath, chest tightness, and cough. Asthma symptoms may be triggered by different factors, ranging from external factors such as airborne pollutants/irritants (e.g. haze, tobacco smoke) and allergens (e.g. house dust mites, animal dander) to physical activity and emotional factors (e.g. anxiety, stress). There is at present no known cure for asthma but with appropriate treatment, most children with asthma can lead normal lives. “Identifying and reducing exposure to avoidable triggers such as tobacco smoke and animal dander may help to improve the asthma control of children” says Dr Teoh Oon Hoe, Head and Senior Consultant, Respiratory Medicine Service, KK Women’s and Children’s Hospital (KKH), a member of the SingHealth group. Children with asthma can still lead an active and healthy life, and are encouraged to participate in exercise and physical activity unless their asthma is not controlled, or they are having asthma symptoms before the physical activity/exercise. All children with asthma are advised to have a reliever medication with them wherever they go, for use when there is an unexpected asthma flare-up. Never stop medication without your doctor’s advice. Chronic asthma requires long-term treatment. Children with asthma requiring treatment with controller therapy should be reviewed regularly by the doctor, who will formulate a management plan based on the child’s progress. Build up a healthy immune system with balanced nutrition, good sleep and regular exercise/physical activity. Basic hygiene practices e.g. hand washing. Smoking cessation for smokers in the family. Smoke free home/car by establishing smoking rules in the household. Consider seriously before buying a furry or feathery pet if there is a family history of allergies/asthma. Keep pets out of the bedroom if your child has asthma. Treat damp and mould on the walls/ceiling quickly. Wash all beddings in hot water (60°C or higher) weekly. Avoid stuffed toys, pick toys that can be washed. Consider dust mite mattress and pillow case protectors. Stay calm and be with your child. Get your child to sit in an upright position. Loosen any tight clothing to allow your child to breathe better. Administer the reliever medications immediately following the asthma action plan. If the symptoms do not improve or wheezing returns within four hours, seek medical treatment immediately.